children of earth are star.
" Seriously, the new Star Trek movie and Watchmen don't stand a chance: this is what will win the Best Drama (Longform) at the Hugo Awards next year, unless the voters go stark-raving mad." Well, I voted for in in nomination, at least. Not that many other people seem to have, as it didn't even make the shortlist. Instead there's dreck in lines with Star trek and Avatar. 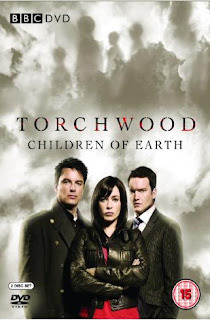 Should one watch the earlier seasons of Torchwood before watching Torchwood: Children of Earth? It's not really necessary. 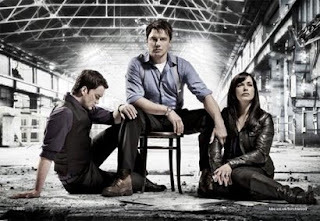 The only thing you need to know is that Torchwood is an organisation founded by Queen Victoria to deal with alien threats to the UK and her interests, that Captain Jack is a human from the far future who is immortal (for reasons too complicated to go into here), and that the Torchwood team (who have a variable relationship with the UK government) lost two of their team-members in a recent catastrophe. The actual story is self-contained in the mini-series.